Technology plays a huge part in point of purchase (POP) displays now more than ever, and it’s actually put a fun new spin on POP displays, as there are so many different ways to make products stand out through the use of digital signage. Here at United Plastic Components, we produce extrusions and holders for tablets, and we use PVC to create these displays/signage. We manufacture temporary and permanent displays that use led strip flexible holders for back lighting for signage or lighting for highlighting products. 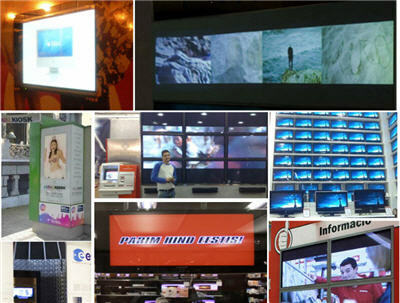 The digital signage market is now much more advanced and continues to make changes each and every year. In just the last few years alone, a number of new digital tools have been integrated into retail stores to enhance display racks, signage and other traditional POP displays. As we move further into 2014, there will be more of a focus on visual and aesthetic changes as display manufacturers explore more creative configurations for displays. There will be more multi-display installations and sizes that will vary messages as well as enhance engagement with multiple audiences all at one time. There will also likely be more touchscreen technology integrated into POP displays. It will allow customers more flexibility to drive their own shopping experience by being able to customize product offerings. Having digital signage and similar technology is becoming an expectation by customers who are driving the demand and therefore prompting businesses to start implementing it. This entry was posted in Point-of-Purchase Displays and tagged digital point of purchase displays, digital point of purchase signage, extrusions for tablets, holders for tablets, point of purchase display. Bookmark the permalink.